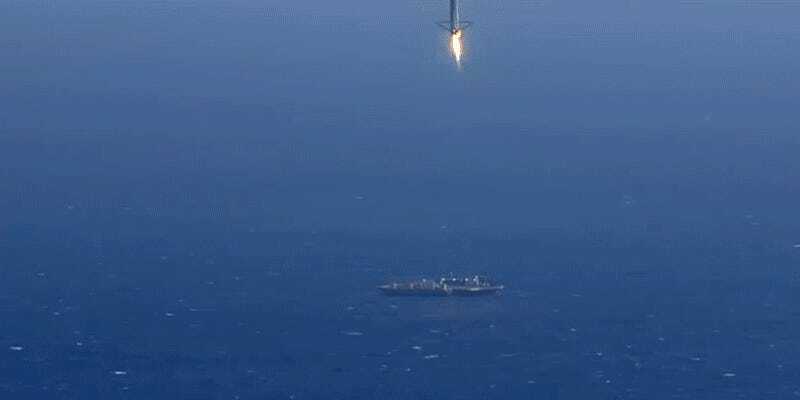 Yes, we could watch that gif of the Falcon 9 rocket landing itself on a drone ship all day long. But, after watching this string of the last four years of SpaceX’s rockets hurtling through the air, it turns out there’s one thing that’s even better: crashes. This video compilation shows highlights from the past four years of SpaceX launches and landings—from Grasshopper all the way up to Falcon 9—and traces the path that got us that drone ship landing. Strung together like this, the progress is remarkable and fast. In just four years, SpaceX went from building a rocket that could barely hop off the ground to a rocket that could launch an inflatable space house to the ISS and land itself on a drone ship. As the crashes in the video show, however, SpaceX has long made a strategy out of the idea of constructive failure—of using crash landings and failed launches to figure out how to navigate and land its rockets. In the end, we see that incredible, almost too easy-looking, shot of a Falcon 9 landing on a drone ship like it was nothing at all. But the lead-up was filled with missed launches, tipped rockets, explosions, and many, many crashes. It was those failures that made the eventual success possible.